Nowadays, entertaining guests during the summer months can take on many forms. Perhaps it’s a lazy Sunday brunch with your friends on your patio, a family barbecue by the pool, or cool evenings by the fire pit enjoying an adult beverage as you intently discuss world affairs with close friends. 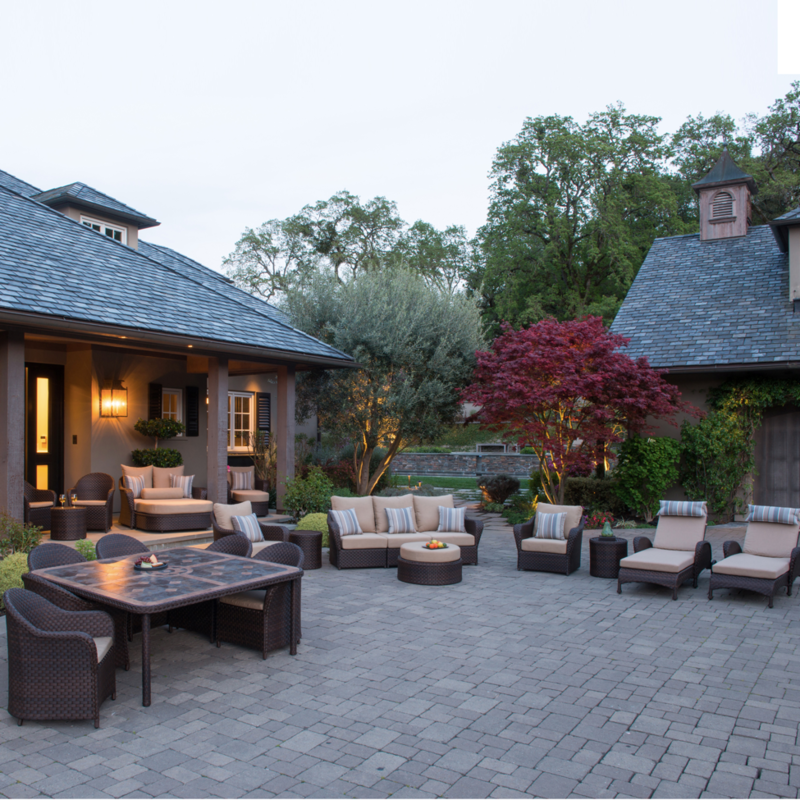 Whether you enjoy a more intimate setting, or need a larger space to throw many get-togethers, you’re going to want to create the right outdoor entertainment space for your home. If you typically host large events that are more family oriented, a nice mixture of comfortable chairs to seat all your favorite guests, including chaise lounges, multiple piece patio seating sets, or a modular patio furniture set is a great place to start. Once you determine the proper mix of seating options that work best for your space, use that as your anchor and build from there. 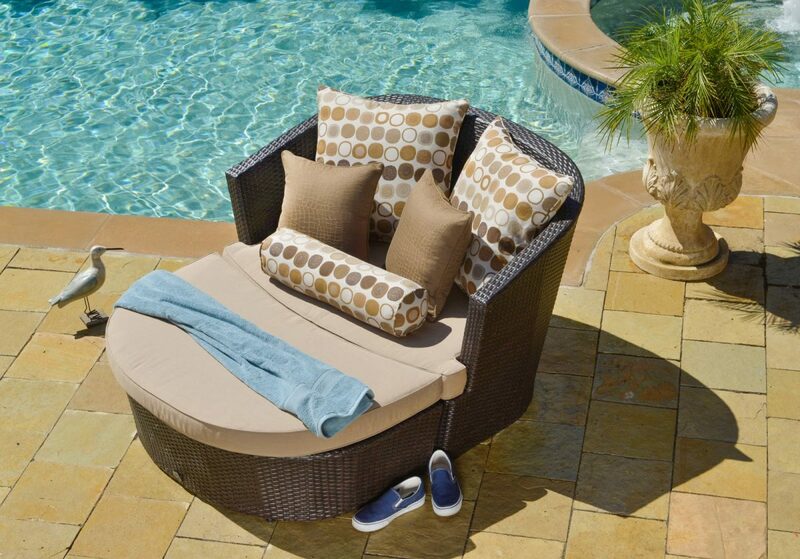 Place your seating accommodations near the pool, around the table, or facing a gorgeous view. Make sure to include an outdoor dining area with ample seating in a nice central location for your meals as food always brings everyone together. It’s also no secret that appliances such as a barbecue grill, HD television, or bluetooth speaker system can enhance your outdoor entertainment space as well. If your backyard happens to have an outdoor kitchen or fireplace, you’ve already got some great focal points to center your guests around during your awesome summer events. 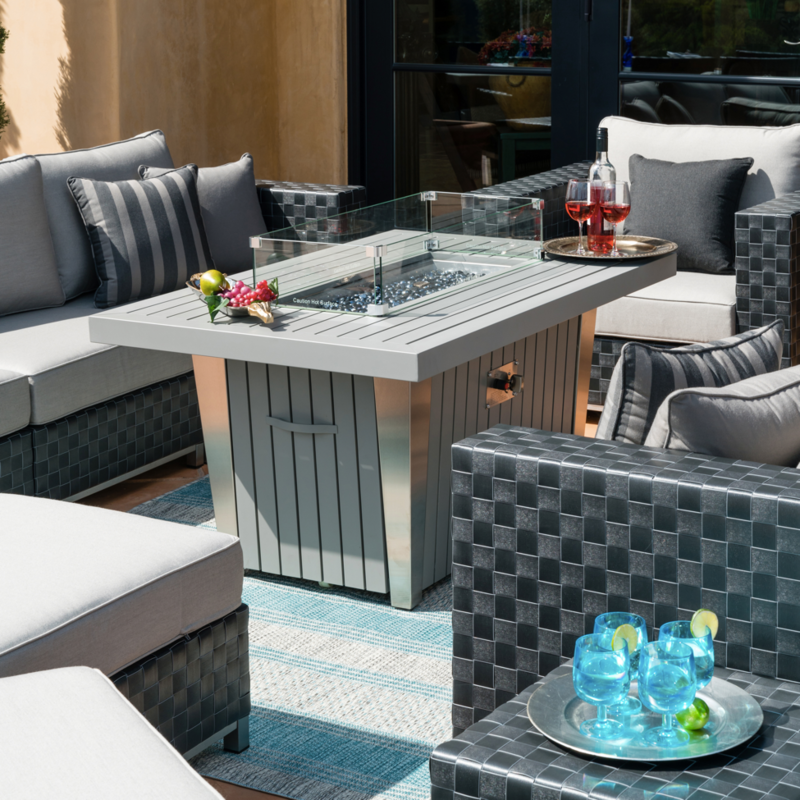 If you live in an area where the temperature ranges from a blazing desert sun during the day to cooler evenings, or on the water where you occasionally get a damp ocean breeze, a fire-table is an excellent option for your space. In addition to providing warmth on those chilly change of season evenings, it also offers security if chosen with a tempered glass windscreen. 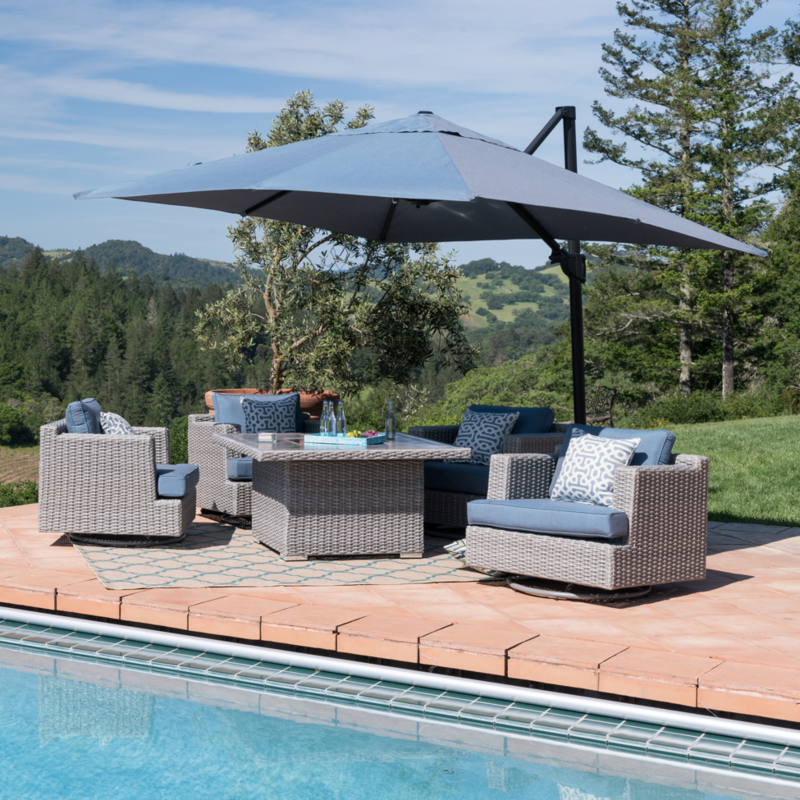 To offer relief from the suns damaging rays, an adjustable patio umbrella adds the perfect amount of cover when the sun is high in the sky on a summer afternoon. If the use of your outdoor entertainment area is more adult focused, the addition of an outdoor bar is always an excellent decision. 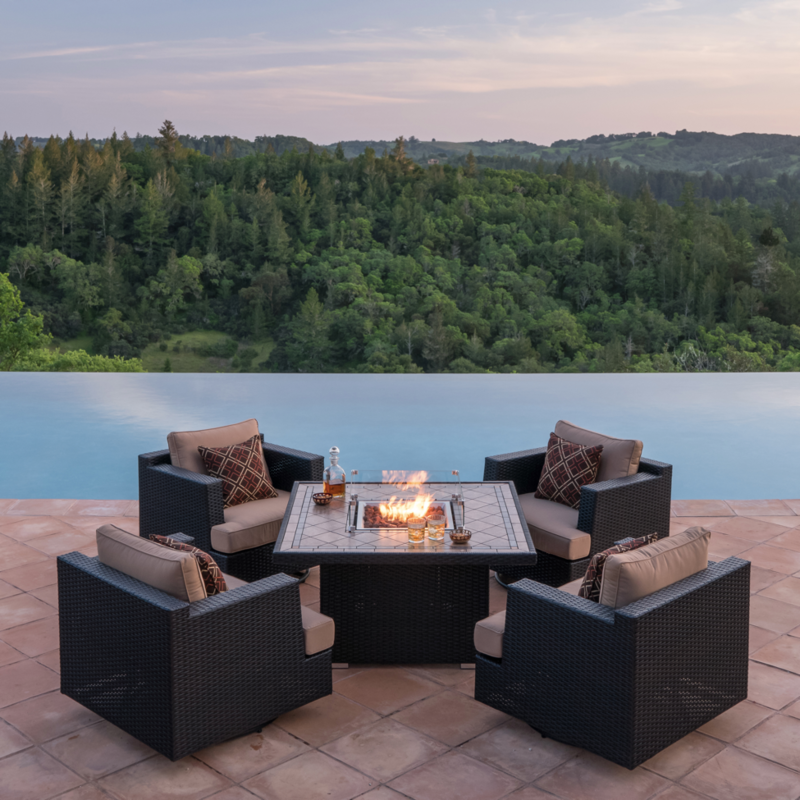 A 5 piece club chair set with a center fire-table helps in the transition from the before dinner happy hour to a comfortable after hours chat area with an outdoor resort club feel. If frequent outdoor dining is on the menu, there are many dining set options that match or tie in with the seating area. It’s visually appealing to have the primary construction material of your outdoor furniture to complement its surrounding elements. If the colors surrounding your outdoor living area have an earth tone touch, a dark brown or espresso resin wicker is always an excellent choice. Having cushions a slightly lighter brown offers a nice contrast. If your natural elements have more of a stone or gray color, a slate gray resin wicker would be a good fit. Cushions in a pleasing peacock color scheme will also tie in the natural green elements. Adding outdoor furniture accessories and other personal touches will bring individuality to your outdoor entertaining space. 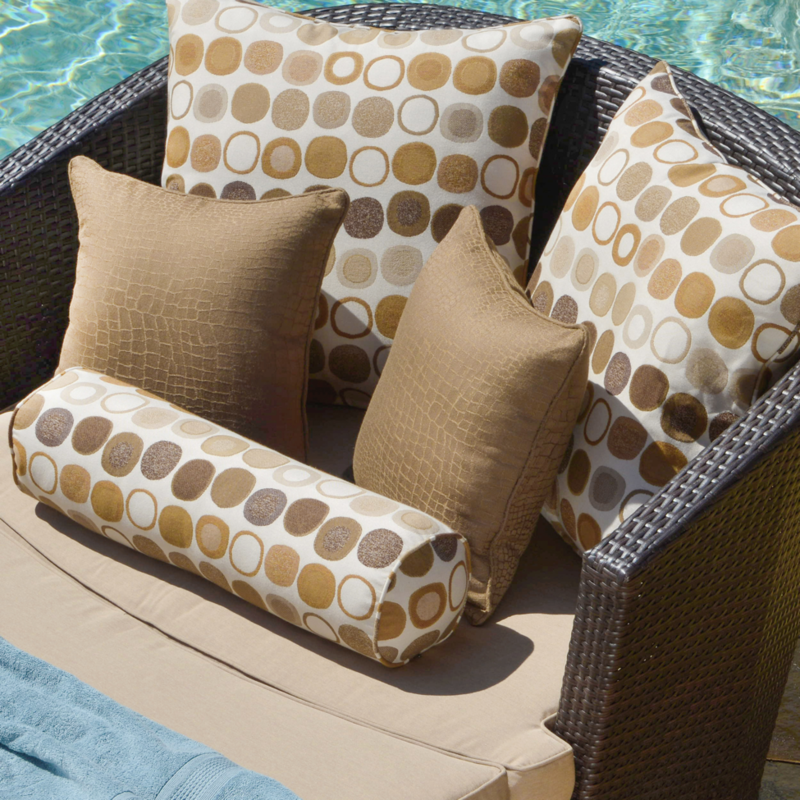 Having chic, comfortable chair cushions will bring comfort to guests of all ages. Patterned accent pillows and throw blankets help tie in different furniture pieces, and always offer a designer appeal. If your backyard area is on the quiet side, nothing adds ambience like the sounds of water washing over and into an outdoor fountain. If your tastes are more for a tropical Tiki Bar feel, the options are limitless. A thatched hut gazebo over the outdoor bar will make you long for the sound of steel drums, guitars and the taste of a frozen adult beverage made with fresh fruit and topped with a tiny umbrella. Be sure to have a blender at the ready and make it a good one, as it will surely get plenty of use. Add some unique touches with a wooden bowl full of fresh fruit and relaxing candles. Place settings offer an inviting feel and are functional as well. One important element to an awesome outdoor entertaining space is lighting. Unique sconces on any surrounding walls can offer a traditional or modern touch. A nice addition to any outdoor bar area with a tropical vibe are ribbon or string lights. Depending on personal preference these can be in a clear white or multi-color variety. 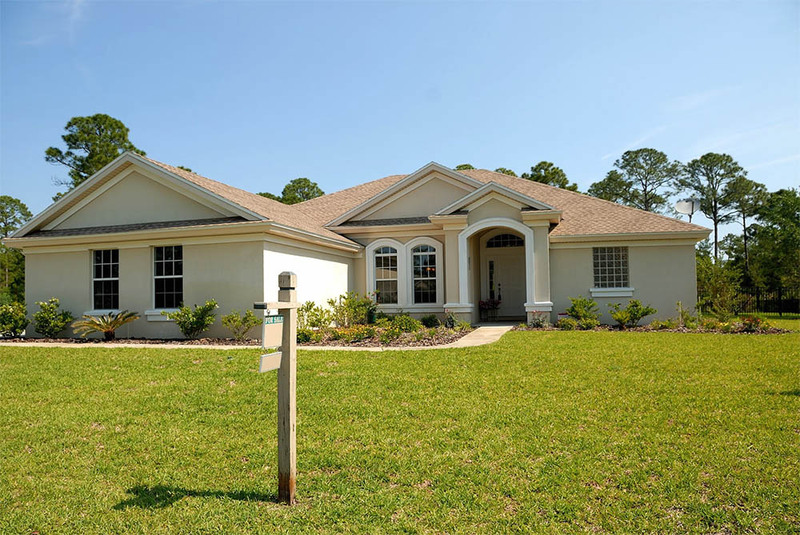 If power is not available there are many economical solar options on the market today. There are individually placed lights ranging from an old world lantern style to multi- color fiber optic varieties. String lights with one solar controller are plentiful and stylish as well as economical. The addition of foliage, either natural or artificial, should never be overlooked. If the sun’s angle is just right and your location more sub-tropical and temperate, palm trees can make your outdoor entertainment space feel like a 5 star resort. If the climate is more acrid and desert like, a pleasing cactus garden offers greenery and low maintenance. A small flower garden is always an excellent addition and there are a majorities that thrive in all climates. For natural aromatherapy, a small garden with wild lavender or rosemary offers a relaxing scent as well as beauty. As a nice caveat, there is nothing like grilling lamb chops garnished with fresh rosemary you picked seconds before. The days of a barren deck or patio are long gone. Just imagine the stimulation of your senses as you sit with friends and family, with the grill fired up and a chilled beverage by your side, as you hear the mixture of pleasing noises from children playing in the distance to the trickling sounds of water from your outdoor fountain. 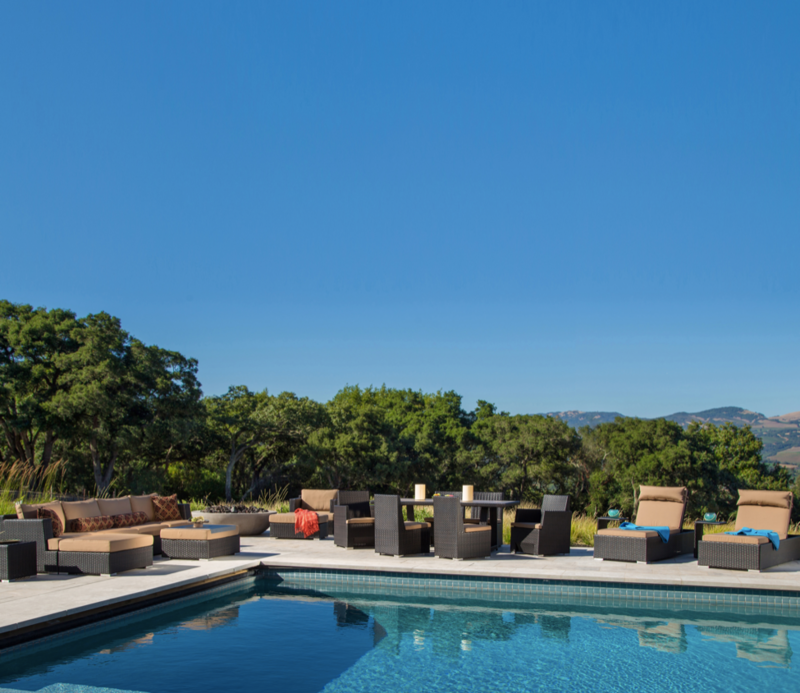 With a plethora of modern day all weather materials and affordable luxury furniture available today, you can design the outdoor entertainment space that will bring you memories to last a lifetime.